29 Mar WHAT’S UP SUGAR? Sugar is a dirty word these days. However, did you know that sugar, in the form of glucose, is the body’s preferential fuel source? In fact, our brains are solely reliant on the sweet stuff. This does not mean that you have a free license to gorge on lollies, soft drink, chocolate, pastries or cakes. But there is no need to quit sugar altogether or to severely restrict your intake. The key is to get the balance right. Too much sugar in one’s diet can cause obesity and tooth decay. 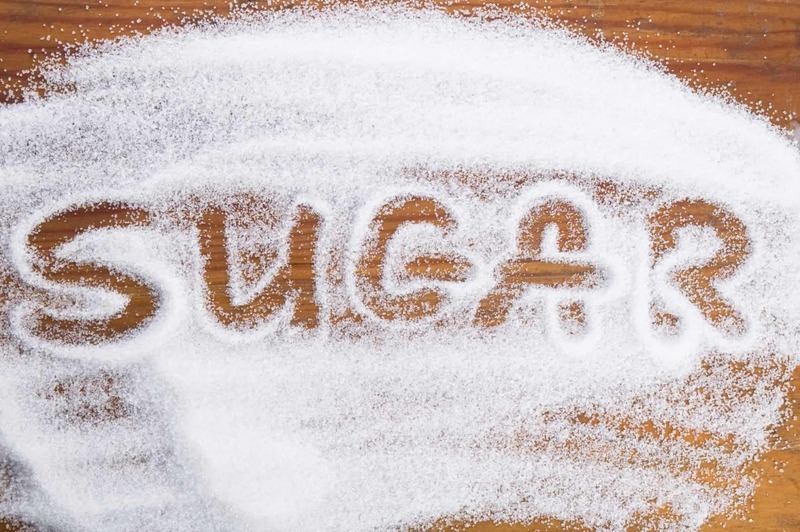 The World Health Organisation has just updated its guidelines on sugar consumption – it advises that we consume less than 5 teaspoons of added sugar a day. That excludes the natural sugars found in dairy products and fruit – both staple food groups in our diet. Here’s a guide to sugar in many of its forms. A.k.a. table sugar, sucrose is a disaccharide (double sugar) comprised of both glucose and fructose. It’s sucrose that you add to your tea, coffee and cake mixture. Soft drinks, breakfast cereals and fruit drinks are high in this type of sugar. Cutting back on sucrose will do wonders for your waistline and your pearly whites. Bee’s gold is a rich and concentrated source of sugar – mostly in the form of fructose. Honey contains some B-group vitamins and minerals, however you would have to have a fair bit of it for its nutritional value to be significant and that would be self-defeating. The Stevia plant is about 300 times sweeter than sugar, its calorie-free and it has very little effect on blood glucose levels. Stevia’s use has become more widespread over the past several years. Some confectionary companies and frozen yoghurt shops are incorporating Stevia in their recipes. There is more research that needs to be carried out to better understand the long-term health effects of Stevia. However, if you’re after a low-calorie sweetener, it’s a pretty nifty option. Artificial sweeteners are food additives that provide a sweet taste, but without the calories. Many diet products such as diabetic lollies, jellies, diet drinks, cordials, yoghurts, chewing gum and low calorie desserts are beefed up with artificial sweeteners to mimic the taste of their high sugar and high calorie alternatives. Artificial sweeteners have been used for decades and many dispute the claim that they are a healthier alternative to regular sugar. However, recent conclusions from a number of studies found that there is no evidence that sweetener consumption is carcinogenic or can lead to birth defects. Also, sweeteners do not lead to insulin secretion or increase one’s risk of developing diabetes. The evidence shows that the amount of artificial sweetener currently being consumed in the Australian diet is safe. Until the evidence disputes this, these sugar substitutes needn’t be feared. While sugar cannot be solely blamed for our obesity epidemic, it is clear that we need to reduce our collective intake of the sweet stuff. There is general consensus among health professionals that we should be consuming less soft drinks, lollies, chocolate, pastries and cakes as well as fruit juice. However, cutting out fruit, dairy products and many wholegrains is unnecessary. You don’t need me to tell you that fruit is a healthier alternative to a bag of lollies. After all, an apple a day keeps the doctor away.